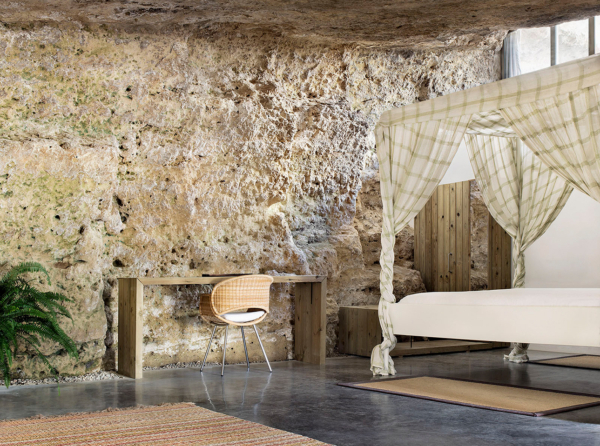 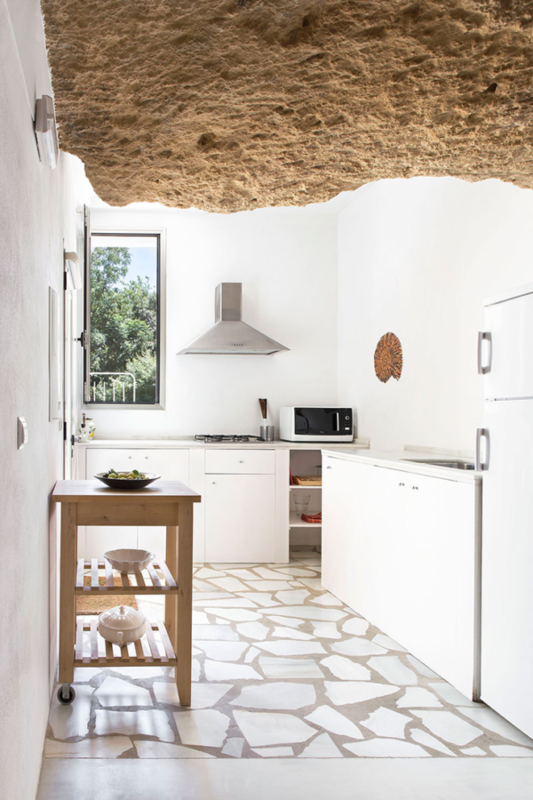 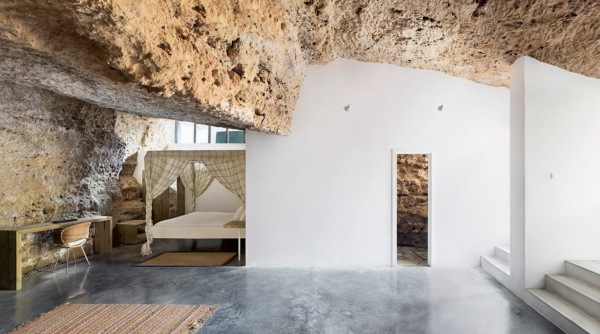 Located in the southern Spanish region of Andalusia, sits in the foothills of Sierra Morena, Cave house rehabilitated as rural lodging by architectural firm UMMOestudio. 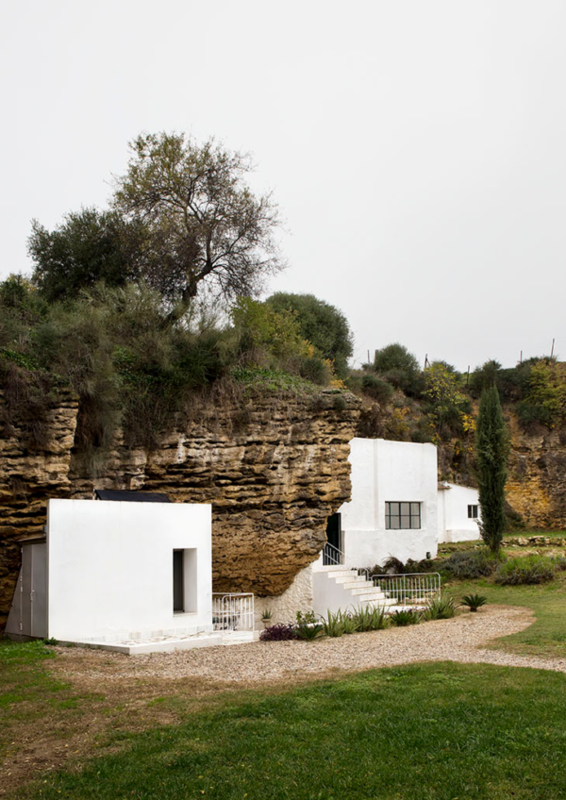 In calcarenite stone terrain arranged in slightly sloping strata that gives rise to various geological formations native to the area, among which are the caves that traditionally have been used for farming and livestock. 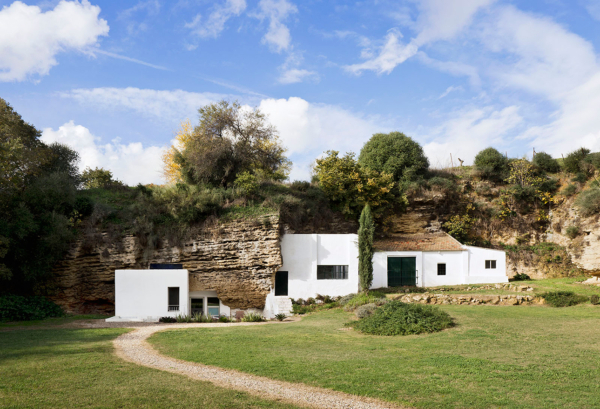 Both the pre-existing walls and the rock itself enclosed and defined an area of great spatial and material wealth, and for this reason, we decided to focus the intervention toward a fluid and continuous dialogue between those pre-existing conditions and the new architecture, always from a respectful position seeking proximity rather than direct contact. 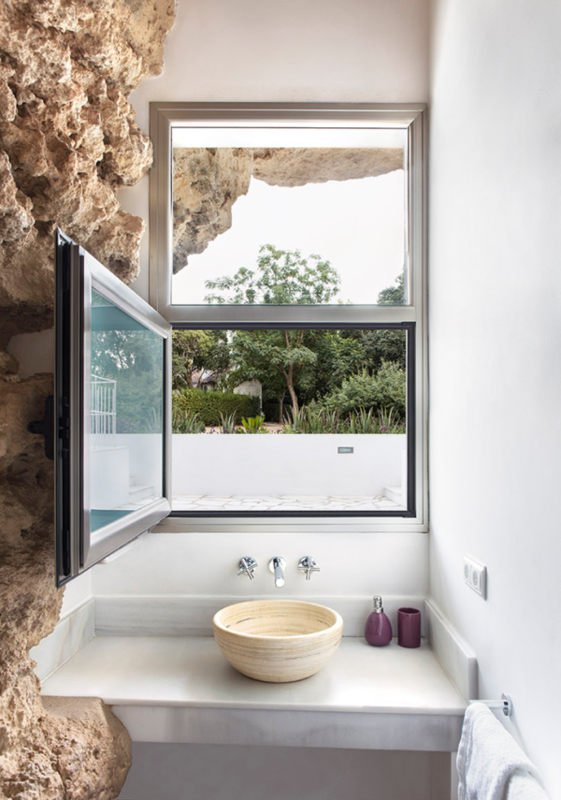 Within this dialogue we have created a new spatial experience that manages to value the tectonic nature of the area through the use of new architectural elements: clean and quiet volumes, bright and ample spaces, use of stone materials for the flooring, such as concrete or marble, glass openings to the south to conjure natural light and handcrafted wooden furniture to give warmth to the cave house.